Over the years, our clients have come to appreciate working with a team of professional advisors who has been exposed to many of the same situations they face. We make it a priority to be your financial advocate and do all we can to address the specific challenges you experience. We also believe it is our responsibility to help you prevent mistakes and make sound decisions about your wealth through ongoing education and the delivery of thorough and thoughtful solutions. Through a series of conversations, we guide you through a comprehensive process that culminates in the development of a financial plan, tailored to your specific goals, needs and aspirations. Our ultimate mission is to empower you to be confident in your financial decisions, so you can enjoy the wealth you have accumulated and pursue personal passions that are important to you and your family. As we begin to work together, we hope you will agree that the strategies and solutions we recommend are carefully structured to provide you with the tools and resources necessary to succeed in today’s fast-paced world, while helping ensure your assets are there when you need them — no matter how long you live or what life events you encounter. 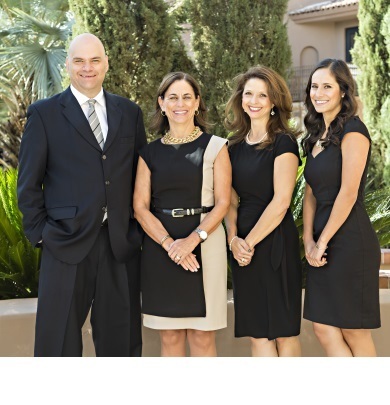 At The Rojas Group, we are committed to doing the right thing for you and your family. We put our clients’ interests first and will be here when you need us most. Our process begins and ends with listening. I ask vital questions about your hopes and dreams, your current financial situation and your investment style . . . and then we listen. It’s an ongoing process through which we understand all we can about you, your family, your business and your goals. This disciplined five-step process helps us make informed recommendations and design a flexible plan that is uniquely yours. Understanding you and your evolving needs is the most important and ongoing step of our process. What’s vital to you – and what keeps you up at night – will serve as the foundation of the work we do together. Analysis is the review and understanding of your current and future financial situation. We have the specialized tools and resources to determine the likelihood of reaching your goals, while addressing the impact of unexpected life events. In this step, we determine which strategies and investments are appropriate for your specific goals, timeline and risk parameter. We build a custom plan with recommendations designed to achieve your particular goals in today’s economic environment. We work in cooperation with your accountant, estate attorney and other financial professionals to ensure your plan is fully integrated. Upon your approval of the plan, we’ll schedule a number of meetings to ensure your account is set up properly and you have convenient access to your account information. Our process is much more than the delivery of a financial plan. It’s an ongoing relationship with forward thinking strategies and a commitment to helping you achieve your goals today and tomorrow. When I began my career in 1982, I gave a lot of thought to the types of individuals and families I would like to serve. I asked myself what were my strengths and perspectives, and who would be best served by my skills and beliefs. While each client has specific financial goals and circumstances, all have one thing in common: They’ve accumulated significant assets and need help developing a comprehensive and cohesive wealth strategy. Our role is to help them effectively manage and protect their assets, so they may take care of the people they love, spend more time pursuing the activities they enjoy, and support the causes that are most important to them. We come to work every day focused on making a real difference in the lives of our clients and the communities in which we live. Jane has dedicated her entire career to serving the financial needs of individuals, families and small business owners in the Tucson area and across the southwest. Her comprehensive approach includes a thorough planning process, customized strategic solutions and a commitment to building deep and longstanding relationships with her clients. Over the past 35 years, Jane has focused on financial literacy, a cornerstone of her dynamic wealth management practice. A graduate of the University of Arizona, where she earned her B.A. and M.B.A. degrees, Jane is a passionate alumni committed to diversity initiatives, with an emphasis on Latinos and women. She serves on the University’s Advisory Board at the Norton School of Family and Consumer Sciences and is an active member of school’s Take Charge America Institute. She also set up a family foundation to sponsor financial literacy programs for Latinos at the University. Jane’s commitment to financial literacy and diversity can be recognized through many other industry and community activities. Throughout her career, she has been invited to speak at the Barron's Top Advisors Diversity Summit and the Hispanic Women’s Corporation Conventions. 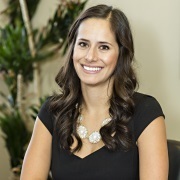 She served as the President of Association of Latino Professional for America (ALPFA’s) Tucson Professional Chapter from 2005 through 2016 and continues to work closely with the University of Arizona’s ALPFA Student Chapter. ALPFA is the largest Latino association for business professionals and students across America with about 100,000 members. Jane taught financial educational classes for more than 25 years and was on the boards of both the Sahuaro Girl Scout Council and Community Foundation for Southern Arizona Board. 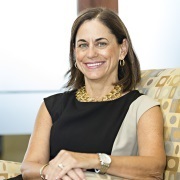 In 2012, Jane was named Chair of Morgan Stanley’s National Diversity Council after being part of the firm’s Women’s and Multicultural Employee Networking Groups. For her experience and dedication to her clients and her community, Jane has received numerous distinctions and professional accolades. 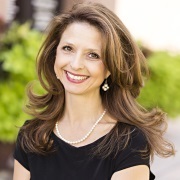 Most recently in 2018 and 2019 Jane was named in Forbes Magazine's List of America's Best - in - State Wealth Advisors. In 2017, Jane was named to Forbes’ “America’s Top Women Advisors” list. In 2015, she was named to the Financial Times “400 Top Advisors” and Barron’s “Top 1200” Advisers lists. Morgan Stanley honored her as a 2016 Maker and named her to the firm’s Masters Club every year since 2012. All of these awards recognize Jane’s excellence, professionalism and dedication to meeting the specific needs of her clients. A native of Southern Arizona, Jane and her husband, Martin, currently live in Tucson. They have two daughters in the financial services industry, Michele and Selina (who is Jane’s junior partner). When Jane is not working directly with clients or guiding the many organizations she supports, you can find her spending quality time with family, her many animals, friends and fellow UA alumni. Favorite leisure activities include water sports, Pilates and yoga. A results-driven Financial Advisor, Selina enjoys working closely with individuals and families to provide highly personalized advice through a disciplined wealth management approach. She is dedicated to helping individuals and families achieve their financial goals, which often include planning for a successful retirement, financing a major acquisition and minimizing taxes through advanced asset management strategies. After spending time studying in Spain and Mexico, Selina graduated from Arizona State University with a B.A. degree in Liberal Arts. She moved to Northern California in 2011, where she began her career in financial services as a Client Service Associate at Morgan Stanley’s San Jose office. Recognizing her true passion for wanting to help people more directly solve their financial, she returned to Tucson two years later and became a member of the firm’s Wealth Advisory Associate program. In 2014, Selina advanced to the Financial Advisor position and proudly joined the Rojas Group. She currently holds her FINRA Series 7 and 66 registrations, as well as her annuity and life insurance licenses. As the only millennial on the team, Selina brings a fresh perspective to client service and relationship management. She has streamlined a number of important processes and has refined team responsibilities. Selina specifically enjoys working directly with clients, developing deeper relationships with their children and grandchildren. Born in Colorado and raised in Tucson, Selina lives in Tucson with her husband, Samer. In her free time, she enjoys hiking the beautiful Arizona desert, traveling the world, and most of all, spending time with her family, friends and animals. Drawing on nearly 35 years of financial services experience, Michaelle is often the first line of contact on a broad array of client services. A consummate professional, she is committed to providing each client with the highest level of personal service and integrity. Michaelle has been a vital member of the Rojas Group since joining the team in 2006. From the largest task to the smallest request, Michaelle works diligently to exceed client expectations. Her core responsibilities are essential to enabling her team to carry out its mission of helping financially successful individuals plan, invest, and lead fulfilling lives. She coordinates all administrative and operational duties, including opening new accounts, wire transfers, client statements and executing trades. Michaelle began her financial services career at Dean Witter Reynolds in 1983, and over the years has had the opportunity to work for several financial organizations, including Wachovia and UBS. She currently holds the Series 7 and 63 FINRA registrations and also maintains her annuity and life insurance licenses. Michaelle was born in Denver, Colorado and moved to Tucson when she was in high school. She has four children, Chase, Tanner, Mercedes, & Grayson, as well as a lovable Rottweiler, Lexi. As the Consulting Group Analyst for the Rojas Group, Luis is responsible for managing all trades for the team and verifying the accounting for all client activities. He is also in charge of asset allocation and risk management, consulting group new business and business support. Luis earned his B.S. degree in Business Administration from the University of Arizona, and his M.B.A. from the University of Phoenix. 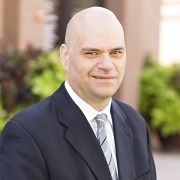 His financial services career began as an intern at PaineWebber in 1990. Over the years, he has had the opportunity to work as a Client Service Associate and Investment Executive for both International and Domestic Financial Advisors. He joined The Rojas Group in 2006. In addition to his impeccable work ethic, Luis always makes time for his family. He is married to Angelica. Together they have three beautiful children, Angela, Andre and Athalia. Ready to start a conversation? Contact The Rojas Group today.